An American political advocacy group aimed at empowering black voices in politics announced Tuesday that the British broadcast of Fox News’ Glenn Beck show was forced to run without any paid advertisers last week after the last of the program’s corporate sponsors bailed. “With the latest group of defections from Beck’s overseas broadcast, Fox News Channel was forced to fill commercial breaks with news headlines and local weather updates from its U.K.-based sister network, Sky News, instead of paid advertisements,” the website StopBeck.com announced. The site is a project of ColorOfChange.org. Beck’s broadcast has been beset by advertising woes since the controversial Fox host declared that President Barack Obama was a “racist,” a remark that set off a flurry of protests. Critics said that Beck’s comment was itself racist. Beck later defended his remarks. In response, advocacy groups have encouraged advertisers to pull their support for Beck’s program. Numerous corporate sponsors have issued statements disassociating themselves from the Fox News host. Among them are Nestle, Allstate and Anheuser-Busch. 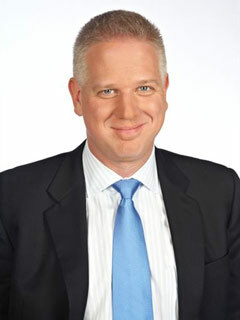 In a release posted at the liberal blog Daily Kos, ColorOfChange.org announced a slew of new companies that had promised not to advertise on the Glenn Beck show. ColorOfChange.org was co-founded by former Obama environmental adviser Van Jones. Beck’s 2009 comments appear below.